Emma Harrison is WVU's 23rd Truman Scholar. Emma Harrison, a West Virginia University student who found her purpose through a college internship, has been awarded the Truman Scholarship, the country’s top award for students who aspire to careers in public service. 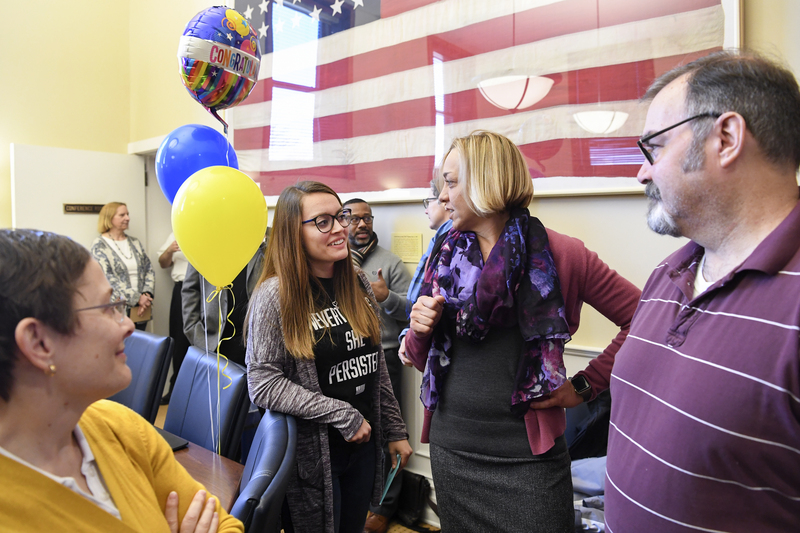 Harrison saw first-hand the challenges that incarcerated people face when she had an internship with the West Virginia Innocence Project at the WVU College of Law. When she took an “Inside-Out Prison Exchange” class with prisoners at the Federal Correctional Center in Hazelton, she saw the need and desire the men had for education. This ignited a passion to advocate for continuing education inside the system. A native of Morgantown, Harrison is one of 59 Truman scholars chosen from 756 candidates for the award. She will receive a $30,000 scholarship for graduate school, the opportunity to participate in professional development programming, and become part of an influential network of nearly 4,000 scholars across the country including Supreme Court Justice Neil Gorsuch, New York Mayor Bill de Blasio, former National Security Advisor Susan Rice and multiple members of Congress. Harrison’s commitment to those in prison did not end when the class was over. She created and taught a leadership class and another one at the Kennedy Federal Correctional Institute in Morgantown. The experience has changed the course of her life and she plans to use her Truman Scholarship to earn a graduate degree focusing on prison education. Harrison is a junior majoring in political science and multidisciplinary studies. She is an Honors College student, a Milan Puskar Leadership Scholar and an Eberly Scholar which recognizes the top 25 students in the Eberly College of Arts and Science. She has also been named a 2018 Newman Civic Fellow. Support for this application was provided by WVU’s ASPIRE office, which helps students pursue national awards like the Truman Scholarship. Students who are interested in learning more about scholarships, fellowships and other graduate school opportunities can schedule an appointment by emailing aspire@mail.wvu.edu. Created by Congress in 1975, The Truman Foundation is a living memorial to President Harry S. Truman. The Foundation’s mission is premised on the belief that a better future relies on attracting to public service the commitment and sound judgment of bright, outstanding Americans. Harrison is the 23rd student from West Virginia University to win the prestigious award. 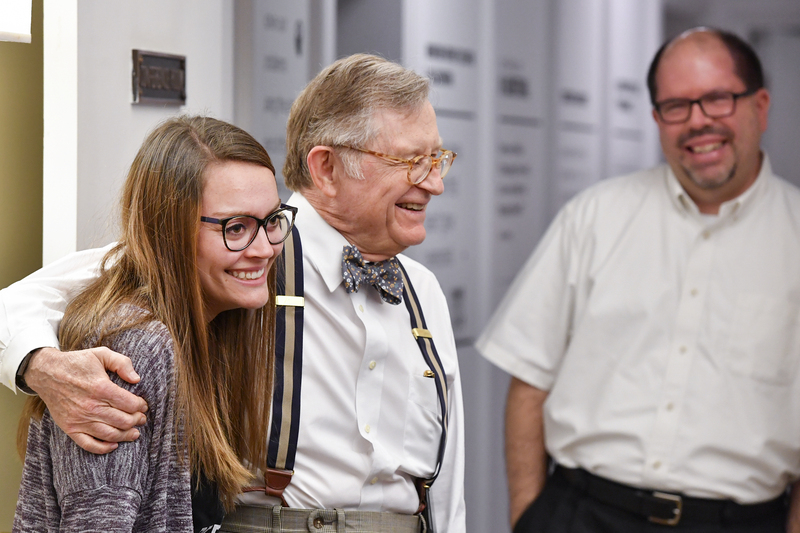 Truman Scholar Emma Harrison is congratulated by WVU President Gordon Gee while Jay Cole, Truman Scholar advisor, looks on. Emma Harrison is congratulated for winning the Truman Scholarship.